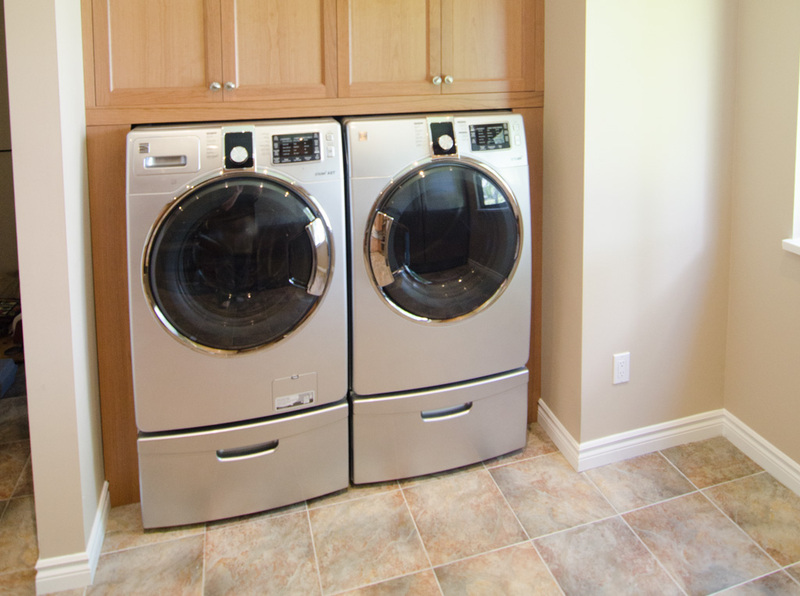 The clients wanted a completely redesigned kitchen and bathroom for their home. 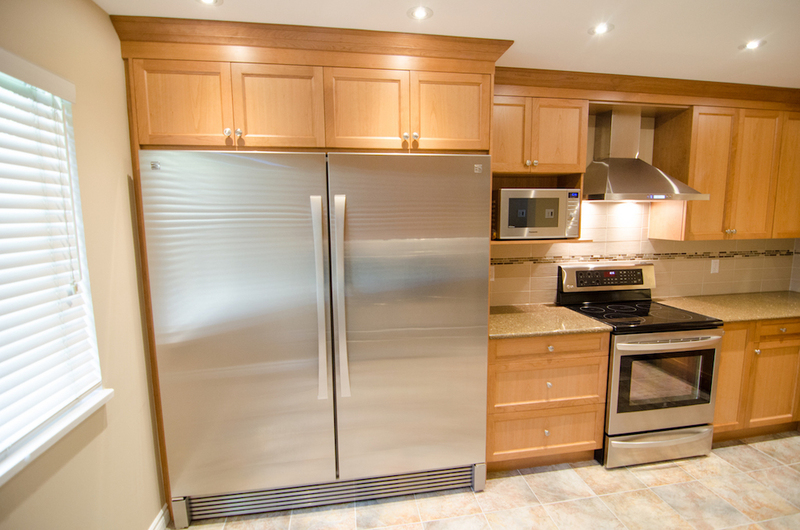 The kitchen features high quality Meritt cabinets, porcelain tile, and cambria quartz countertops. 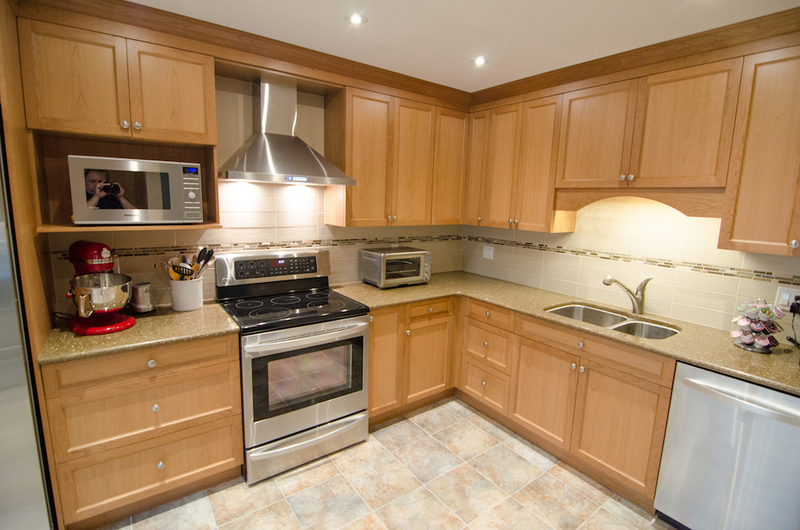 We worked with the clients to ensure that the floor tile, countertops and cabinets and tile backsplash matched and complemented each other. 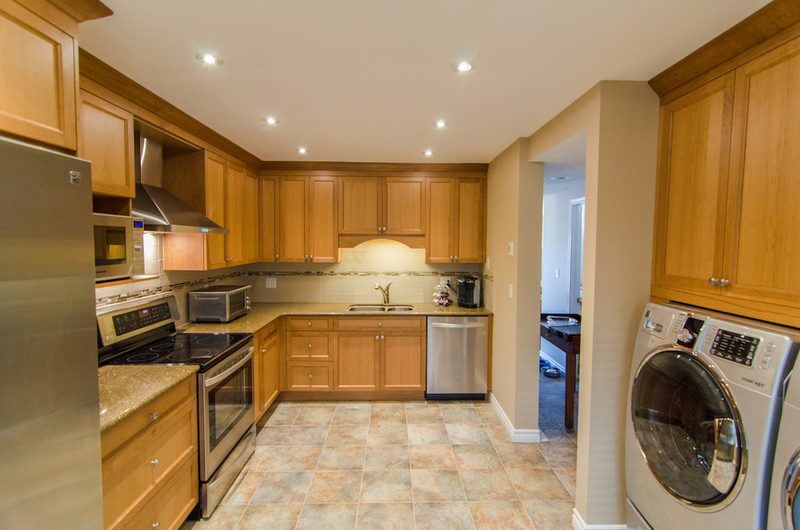 As part of this renovation the kitchen was gutted right down to the studs and new electrical wiring, plumbing and venting was run. In order that the kitchen had enough light to use both during the day and at night. 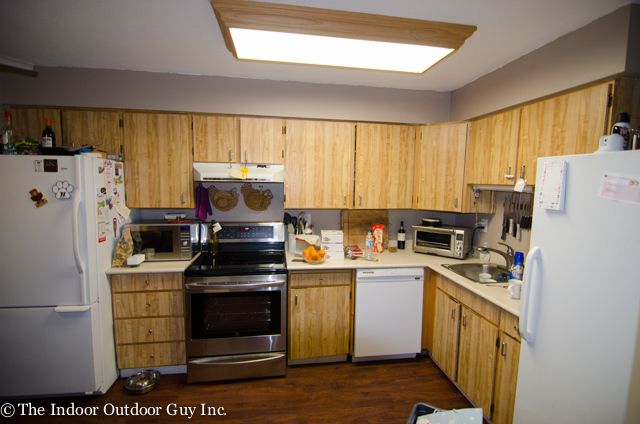 Sixteen dimmable pot lights were added to ensure that the kitchen always has the right amount of lighting. Lighting over the sink and the stove was also added. 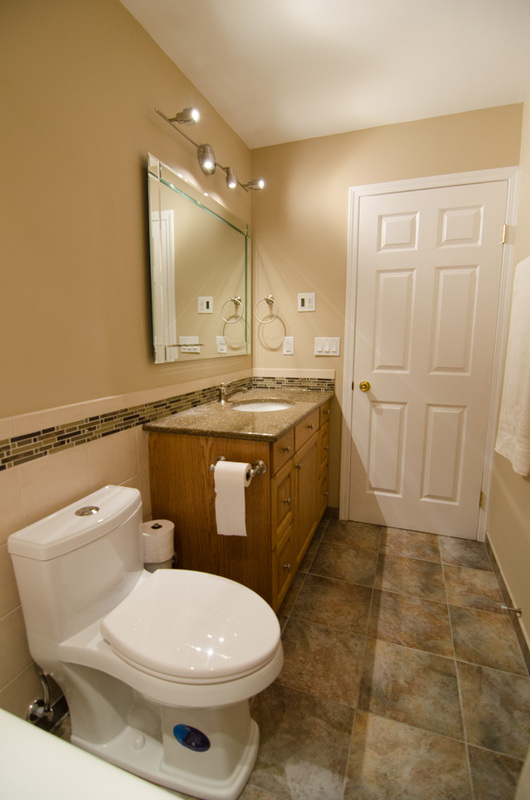 The second part of the renovation involved a complete gut and remodel of the upstairs bathroom. 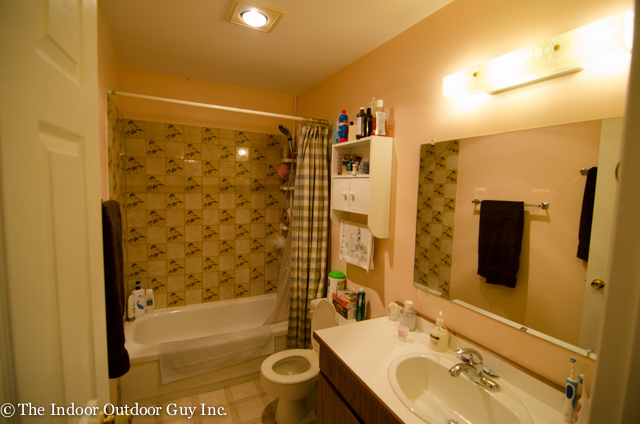 In order to have a common feel throughout the house, the same tile and countertops were used in the bathroom. Like the kitchen the bathroom has an electric radiant heated floor, that was installed by one of our Nu Heat certified staff. 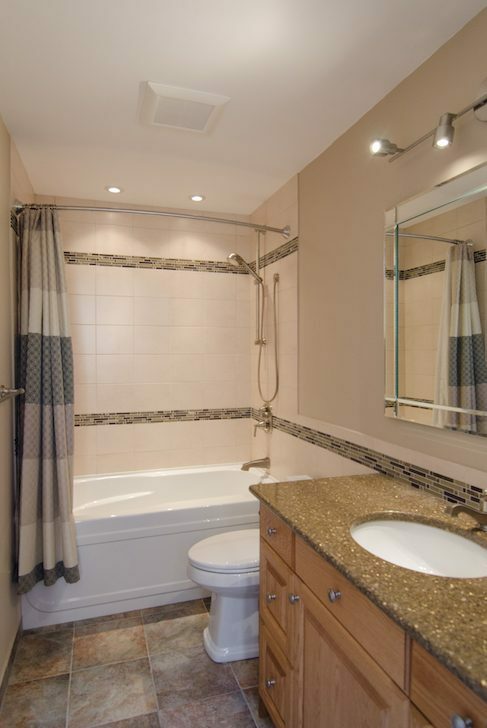 This bathroom has a custom feel to it because it has more tile work than a typical bathroom. The area behind the toilet is tiled and it has two borders in the tub/shower area.